Welcome Chris, gets some pics up of the poorly one. welcome to the forum, pic's??? 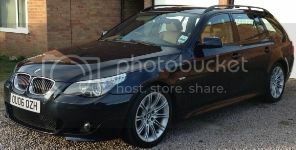 Welcome to the forum Chris - look forward to seeing some pics of your latest BMW. 40 BMWs eh? How often do you change your car? Welcome to the forum mate, look forward to the pics!